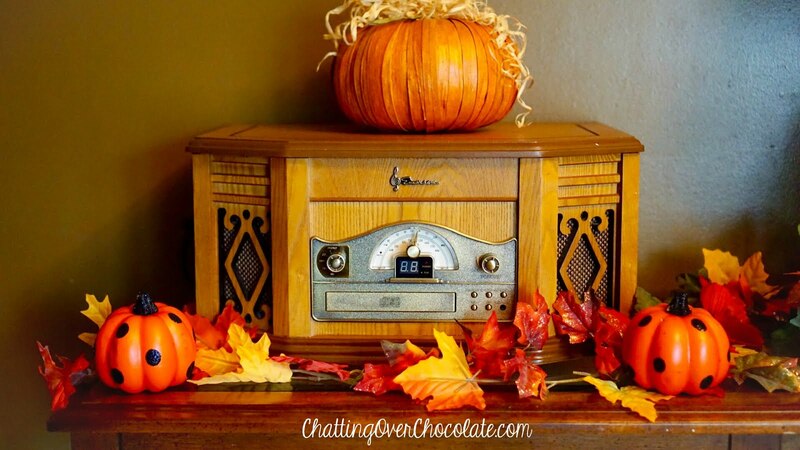 Chatting Over Chocolate: Five Loves on Friday! 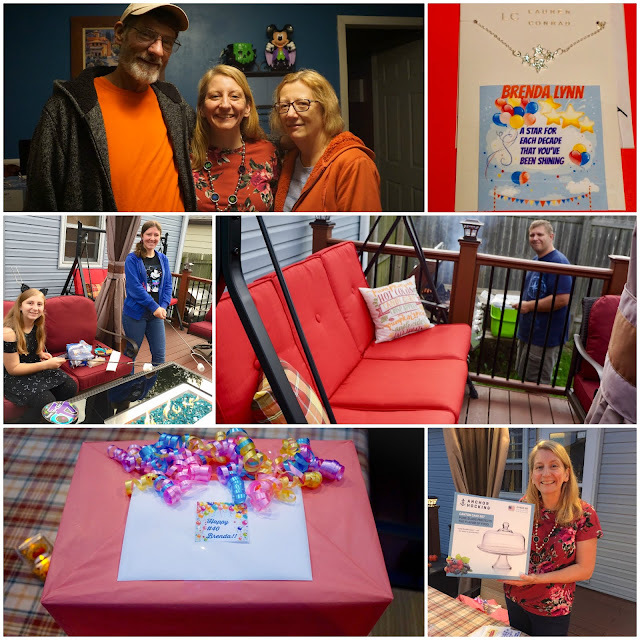 // Fabulous Frugal Fall Finds & Celebrating Two BIG 4-0s! Five Loves on Friday! 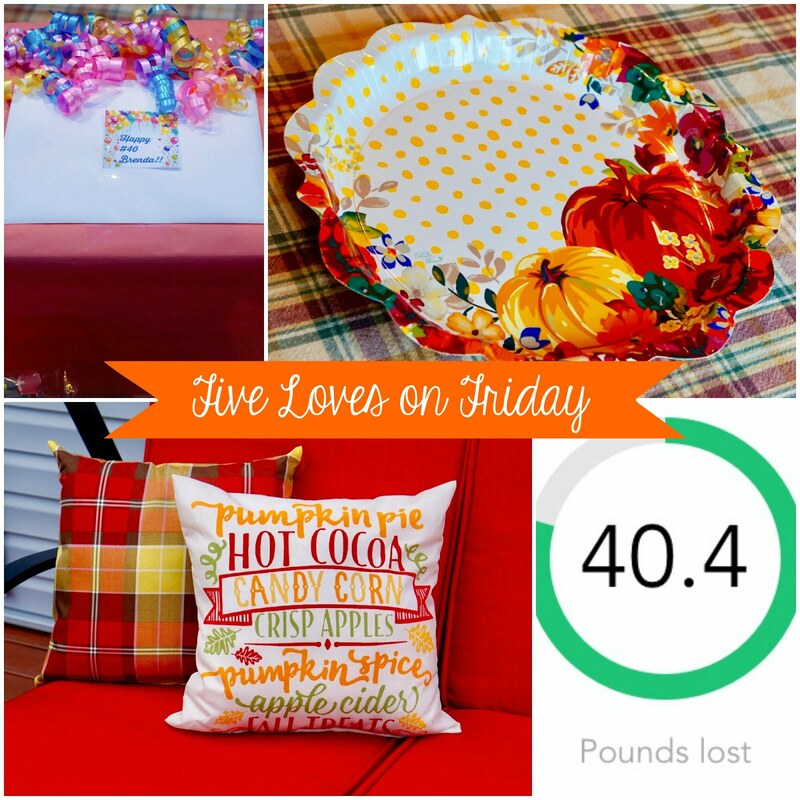 // Fabulous Frugal Fall Finds & Celebrating Two BIG 4-0s! Happy 5th of October, friends! October is one of my favorite months of the year and five is my lifelong favorite number, so what better time to bring back Five Loves than on this fabulous fall Friday, am I right?! It's been far too long! If you've been around here for a while you likely remember that I typically take an annual summer hiatus. This year I didn't technically take a hiatus as I pre-prepped my Trip Report Tuesday blog posts and still publish those each week, but I feel like I haven't actually blogged since the end of July. I've missed it and connecting with you all on Fridays! Glad to be back and glad to have you here today! Let's get to those loves, shall we? One // My Belated BIG 4-0 Cookout! I come from a family that thoroughly enjoys celebrating life and has always made each and every occasion, big or small, feel extra special. All that to say, there was no way my parents were going to miss celebrating my 40th birthday even though I spent it at Walt Disney World last month. Tuesday evening they visited, Jason grilled burgers, brats, and hot diggity dogs, and we chatted for hours sharing vacation stories, catching up, and talking about memories all the way back to my birth story. It was such a sweet night together! Rather than cake (although I do love cake as well), some of us roasted marshmallows around our fire table for s'mores while others sipped root beer floats. It was perfection! If you look closely you can see that my parents arrived with an array of "40" themed party supplies including the "40" necklace I'm wearing, party napkins, and dessert plates. While my sister lives out of town and wasn't here to celebrate with us that night, she thoughtfully passed along a gift for me through our parents. Her 40th themed gift brought tears to my eyes. Seen in the top right corner above, she gave me a stunning necklace with a personalized note that said, "A star for each decade that you've been shining" - so sweet! Another favorite from my lit'l sis was the gorgeous cake set I'm holding in the bottom right photo above, something I have always wanted and have never had! (I blame Hallmark movies. ;)) It was the funniest thing that she had no idea about that, yet got me one! She also filled a bag with other favorites like an adorable notepad and fancy pen which made my note loving heart skip a beat. I was completely overwhelmed by how much she spoiled me! I couldn't be more thankful for her and the sweet bond we share! My parents would soon leave me teary eyed as well. They gave me the most amazing card/booklet I've ever since! 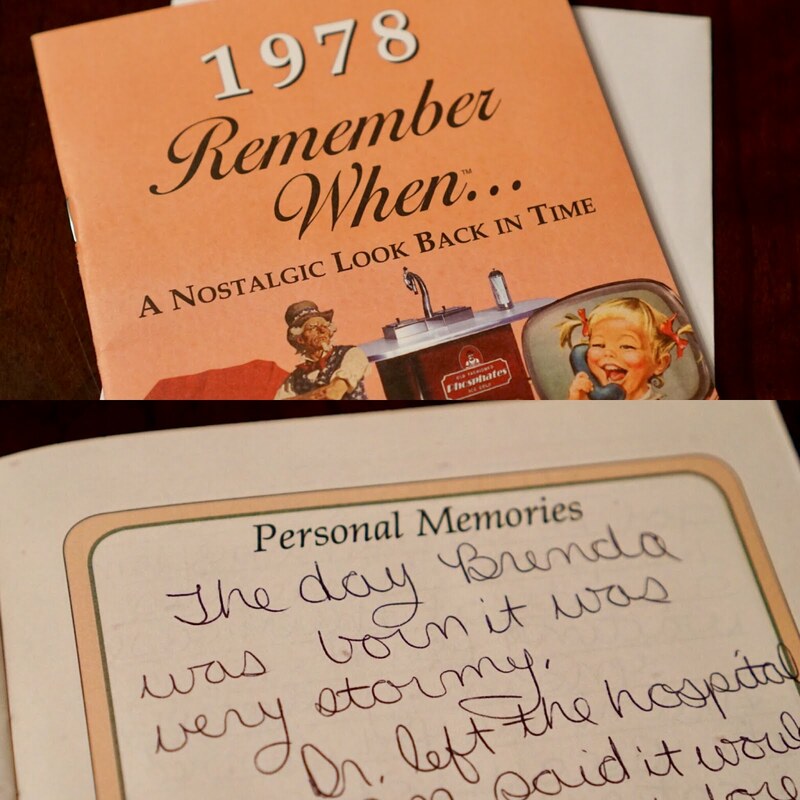 It included all sorts of fun facts and even advertisements (so fun to see) from the year I was born! In the back there are a few pages for writing notes and she wrote the sweetest note and talked all about the day I was born. I could cry just thinking about the beautiful thoughtfulness that went into that gift! They also gave me an incredibly generous gift of birthday money which I plan to take along for something special when Jason and I travel next month to celebrate our 20th wedding anniversary. It's a big year, friends! 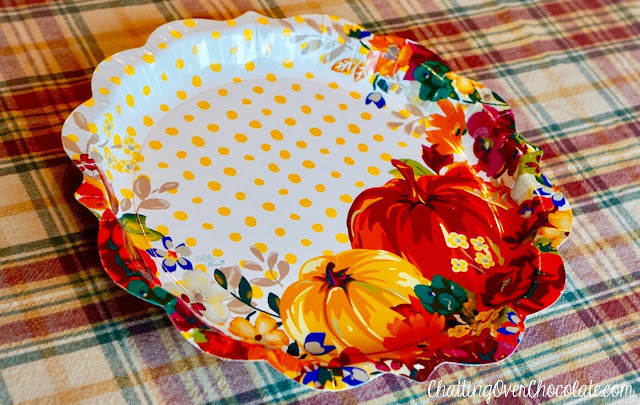 Between the cute cut of these plates and their floral, pumpkin, polka dotted goodness I simply couldn't resist picking them up to use on Tuesday evening. They're disposable which made the cookout cleanup a breeze, but they are so darling that I would've happily washed them if it meant I could keep them forever! I believe the 8 pack of these beauties was $2.99 at Walmart. They also had matching napkins and dessert plates. 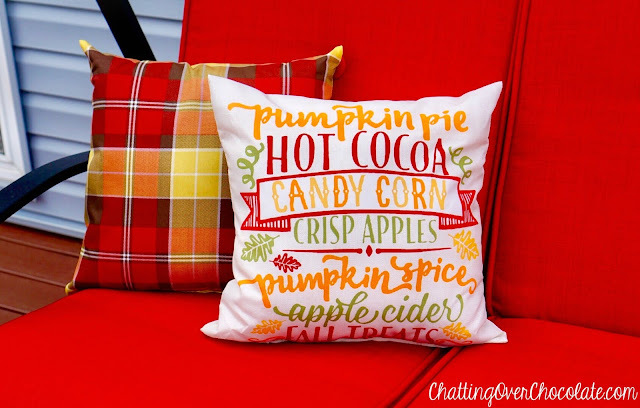 I spotted these super cute fall outdoor pillows at Walmart this week for just $5 each! I couldn't adore them more! Want to know the best part? 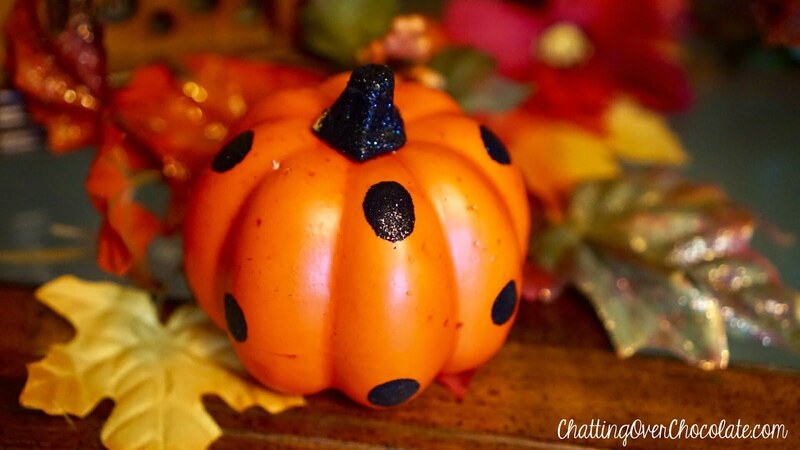 These were the last two adorably polka dotted pumpkins (again, at Walmart) and they were only 98 cents each! Frugal fall fabulousness at its best! Five // A 40 that I'm way more excited about than my age! Ha! If you know me in real life you likely know that I've battled weight, yo-yoing ever since having my children. It's not something I've talked about much here outside of my 35 by 35 blogging series back in 2013. However, as embarrassing as it is to admit, it has continued to be a issue for me in the years since. I've re-gained and re-lost the same 30 pounds a few times since that 35th birthday. As I approached a fresh new decade of my life I became determined to break that cycle! This year Jason and I made a healthier lifestyle a priority. 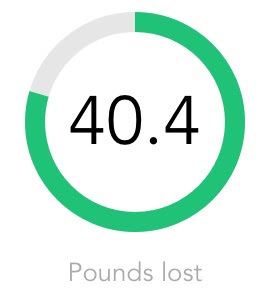 Yesterday I hit a weight loss milestone that I'm absolutely thrilled about! During this first month of my 40s, I'm officially down 40 pounds! I feel so much better! This has been a hard fought battle with weight, but I think I've finally got a handle on what works best for me. It has not been easy, yet it continues to be worth it! Thank you for visiting! It means so much to me that you cared to spend a bit of your day here! I'd love to hear from you in the comment section below before you go. Don't be shy, please say, "Hi!" 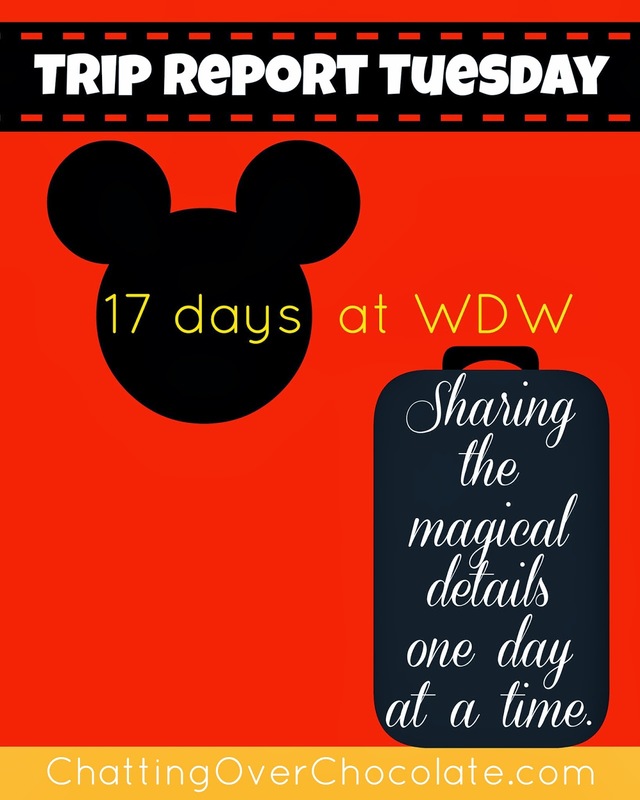 Direct Link to Blog Post: Trip Report Tuesday - WDW Day 14 | Disney Springs Christmas Tree Trail, Magic Kingdom, and More! Welcome back to regular blogging! And happy big 4-0! I have that cake stand and just love it. The gifts from your family were so touching. And congrats on the weight loss!! Have a wonderful weekend! Thank you so much for your sweet comment, Tanya! It was a joy to receive! I love that you have the same cake stand. It's so beautiful! Hope you've had a wonderful week!! Aren't thoughtful gifts the best?! Great to hear from you, B! Love to you and your precious baby girl too! xo! Wow! hats off to you for the weight loss. And, happiest of birthdays on #40. Lots of 40's in your life right now. Looks like you were treated to a very special celebration. Have a great new week! Wow! So much to love in this post, happy belated birthday!! You had such sweet celebrations! Your Wal-Mart pillow finds are so good- I’m going to need to look for them! And congrats on the weight loss... amazing!! Thank you so much!! <3 Those pillows are so cute and the price can't be beat! Hope you spot them at your Walmart too! ;) xo! Happy Birthday again! I am turning 40 too in just over a month and I too need to lose 40 pounds! I'd love to know more about how you did it! I have been struggling with this same weight losing and gaining it too since I had my kids! Thank you, sweet friend! I can absolutely relate to that struggle!! We have much in common, don't we? My husband I have been following the ketogenic "keto" diet since the beginning of May. It's a low carb, high fat way of eating. I will say it's not the easiest, but we have found plenty of keto-friendly swaps for our favorite carbs and recipes we enjoy. The best part has been how full and satisfied I feel. I'm never hungry and I'm rarely tempted to snack between meals (which I used to do constantly). As you'll see in my future Trip Report Tuesday blog posts we did abandon all dietary, carb, and caloric restrictions while on vacation to fully enjoy every bit and bite of it! ;) We got right back to keto when we returned and within 2 weeks of our homecoming we were both back at or below our pre-vacation weights. I was really happy that it didn't hinder our progress! We also do have non-keto, higher carb meals a few times a month. That helps keep us on track and not feeling deprived. :) I'm so tired of re-fighting this same battle. I'm doing all I can now to enjoy food (oh, how I love food - lol) while making choices that will continue to lead to a healthier life.